Bad Banana tweeted Saturdays are calendar kittens. That got me to wondering what the other days of the week might be. 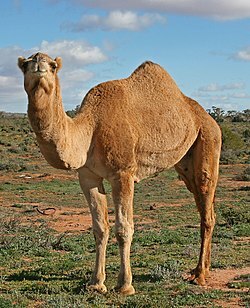 That dromedary camel above has got to be hump day Wednesday, but I know you clever bloggers and viewers out there can come up with killer euphenisms for all the days. Heck, re-do Saturday if you can beat Bad Banana. I’m waiting. Iranian protesters need one million people on Twitter to change their time zone setting to Iran (find Tehran on settings tab). It’s an easy thing you can do. Meanwhile they tweet advice to wash Basiji marks off doors with oil so protesters will not be attacked, to spread oil or sand piles to slow them, to rip down streets signs to disorient them, to remove SMS cards, carry Holy Korans for protection, go to embassy hospitals because Basiji are arresting injured at hospitals, to wash burning liquid sprayed from helicopters with lemon juice, and on and on. I think I can change a time zone. How about you? P.S. Google Earth has already updated maps of Iran and is working on getting more pixels and updates. Way to go. I have never been so humbled or in awe—and this has been accomplished with 140 characters. I have twiddled with Twitter for a month or so. Wired Magazine said everyone should twitter, it is the thing of the future. Well, Wired is my Bible, so I followed along. And then I languished on there. It was like walking into a room where everyone was milling around and you had no idea what they were doing. Finally I tweeted, then tweeted again, then joined a twibe. All the while, through BNO information was coming at me before it hit CNN, or in many cases, even the professional news web sites. Okay, now I was beginning to understand what that little crowd in the corner was doing. I joined with a few others hunched over keyboards writing fiction in 140 characters. Good writing practice. But is this what Wired was referring to? A few days ago CNN reported elections in Iran with suspect outcome then returned to telling viewers how to cope with analog TV’s. Up pops #Iranelections on Twitter groups. Suddenly Twitter reschedules its maintenance to coincide with nighttime in Iran so citizens could continue to twitter. Curious about the situation, knowing reporters had basically been shut down and were staying in safe places, as advised, I thought I’d see what this was about. What it is about is revolutionary. Over 221,744 tweets in one hour at its peek. Pictures of protests and violence not seen even on TV, human voices and warnings in real time. I am in awe — truly. Perhaps there will not be an Iranian revolution, but there has already been an information revolution. The possibilities of the cutsie-named Twitter, started in the bedroom of a couple is giving me shivers. Now I understand.